If Cincinnato and Marco Carpineti represent Roman vinters moving forward by looking to the past, Casale Del Giglio is a winery of a much more modern stripe. 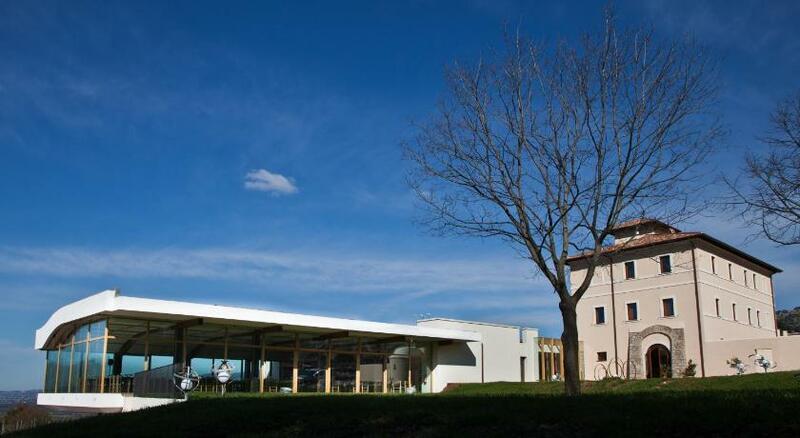 Located on the slopes and plains (and some former marshland) some fifty kilometers south of Rome, it utilizes its 180 hectares of vines to make an assortment of varietals that stretch the boundaries of what Italian wines can be. Along with wine journalist Charles Scicolone, we toured the winery with winemaker Paolo Tiefenthaler who explained that the area, being located on sandy soil in the Agro Potino valley near Anzio, did not have much of a wine-making tradition before they started cultivating it back in the 1990s. Teifenthaler told us through an interpreter that they saw this unexplored territory as being perfect for viticultural experimentation — it having a temperate maritime climate similar to those found in Australia, California and Bordeaux. As a result (and with the full blessing of the European Union), over sixty different varietals were planted to see what grew (and tasted) best. With such a broad canvas to work from, Tiefenthaler arrived at a stunning assortment of wines — fifteen in all — that aim to bridge the gap between classic and international tastes, as well as solidifying the area as a microclimate to be taken seriously. One very un-Italian thing about Casale Del Giglio’s wines are the labels. In a nod towards the international market (and in breaking with the traditional Italian wine labels – the motto of which has always been: “obscurity and confusion over clarity and information”), their bottles identify the maker, the grape (if it’s not a blend) and the location of the vineyard. Most of their wines are classified as IGT (Indicazione Geografica Tipica – the third tier of Italian wine classification) which allots more freedom to winemakers to use different grapes and blends than the more restrictive DOCG and DOC denominations. Triefenthaler takes that freedom and runs with it. His chardonnay uses no oak and goes through no malolactic (secondary) fermentation. The result is a full-bodied, crisp wine that is a pure expression of the grape. It was one of many non-traditional wines we tasted that caused me and Scicolone to sit up and take notice. 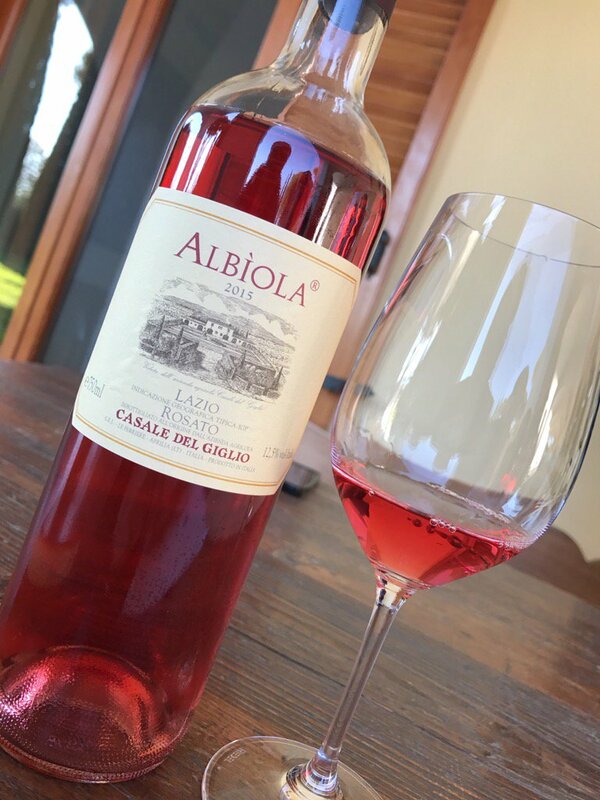 Just as pleasantly surprising was the Albiola Rosato — a rose of Syrah and Sangiovese grapes — that was surprisingly rich for a wine so pink. It’s strong acidity and raspberry/strawberry aromas make it a perfect wine for sipping all Summer long. On the more traditional front, Casale Del Giglio weighs in with a big, spicy, tannic, vaguely herbaceous Cesanese (pictured above) that Elise Rialland — our winery guide for the day — said goes perfectly with a Spezzatino di Bufaletta dell’Agro Pontino (water buffalo stew). Absent any water buffalo in your neighborhood, a beef stew would match splendidly as well. Of the other red wines we tasted, the huge, sweetly tannic Tempranijo was a monster that needs taming by food or aging, and the 100% Cabernet Sauvignon showed promise as well, although, like many of the reds, it seemed quite young, very fruit-forward and a bit rough around the edges. Still, when you consider that these wines retail for well under twenty dollars a bottle, you’re getting quite a mouthful for the price. Two wines that need no qualifiers are the Bellone and Mater Matuta. The Bellone is yet another worthwhile way to break the bonds of your chardonnay, sauvignon blanc, or pinot grigio habit — it being a complex and subtle blend of ripe tropical fruit beneath a nicely floral nose. What sets it apart from your run-of-the-mill $15 white wines is the strong acidity and a bracing finish that tastes like a sea breeze smells. I can’t think of a better wine to accompany a fish stew or raw seafood platter. 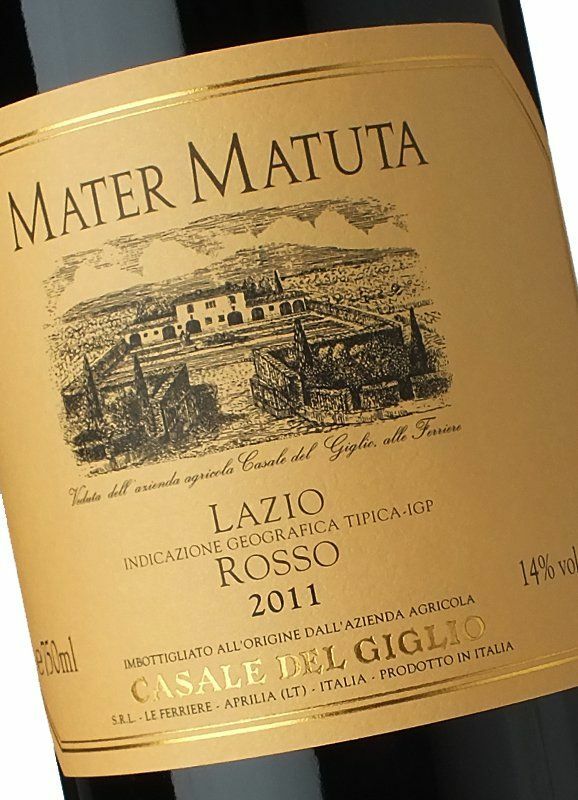 If the Bellone is an ode to the ancient varietals of Lazio (the province of Italy wherein Rome lies), the Mater Matuta represents a leap into the 21st Century. Elegant and powerful, this flagship wine is a blend of 85% Syrah and 15% Petit Verdot, and displays a deep, dense ruby red color, and complex aromas of black cherry, coffee and about half a spice rack. The tannins are finely integrated and the finish lasts until next Tuesday. In all, quite a bottle for $50, and quite a landmark for an area that had no idea it could make such a splash with grapes that had never before spoken Italian. Old school or new, Roman wines have broken the shackles of cheap white wine that defined its viticulture for so long. Tasting the full panoply of Casale Del Giglio wines (including a wonderful late harvest wine called Aphrodisium) taught me that no longer will I look past the “Lazio” designation when I see it in a wine store or on a list. These are very attractive wines at very attractive prices, and all of them are made to match with Roman food, one of the world’s great cuisines. “To a Roman, wine is just another form of food.” Charles Scicolone reminded me of this several times as we tasted our way around Rome for a week. What he also impressed upon me was that Romans (who are very serious about their cuisine) look upon wine as an integral part of any meal, but, being Romans, don’t exactly stress out over it. You’ll never find a Roman dissecting the fine points of a food and wine match. Certain fundamental rules are followed (lighter wines with fish, heavier ones with meat), but after that it is all about enjoying them simultaneously. Here are a few restaurant and wine bars where you can maximize your enjoyment of both in the Eternal City. Il Sanlorenzo – Despite being 45 minutes from the ocean, Rome has never been much of a seafood town, until now. This elegant, seafood-centric place, a block off of the Corso Vittorio Emanuele II, proudly displays the daily catch at the front bar, offers six kinds of Le Acque (mineral water), artisanal breads, and stunning selection of raw seafood. It’s 85€ tasting menu is quite the bargain, and the modernist carpaccio of red shrimps just as satisfying as the artful twist on linguine con vongole. Flavio al Velavevodetto – The trouble with traveling to Rome (as with New York, Paris, Tokyo, etc.) 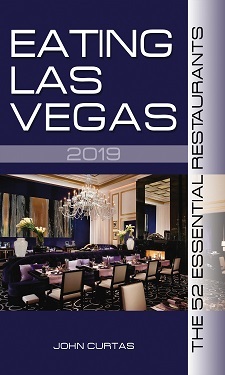 is I’m always torn between classic places to which I can’t wait to return, and wanting to try out newer joints that everyone is raving about. Thankfully, Rome doesn’t follow food trends as much as the rest of the world, so it’s easier to ignore whatever some travel magazine is writing about this month. Flavio de Velavevodetto has been around forever, and isn’t on anyone’s thrillist, but the food is Roman to the core. A wall of wines greets you as you enter (and doubles as the wine list) and the menu couldn’t be simpler. The rigatoni con la pajata (with veal intestines) and coda alla vaccianara (braised oxtail) also could not be any better. “Velavevodetto” means something like a Roman “I told you so,” and after two bites of your meal, you will have to admit that I told you so. 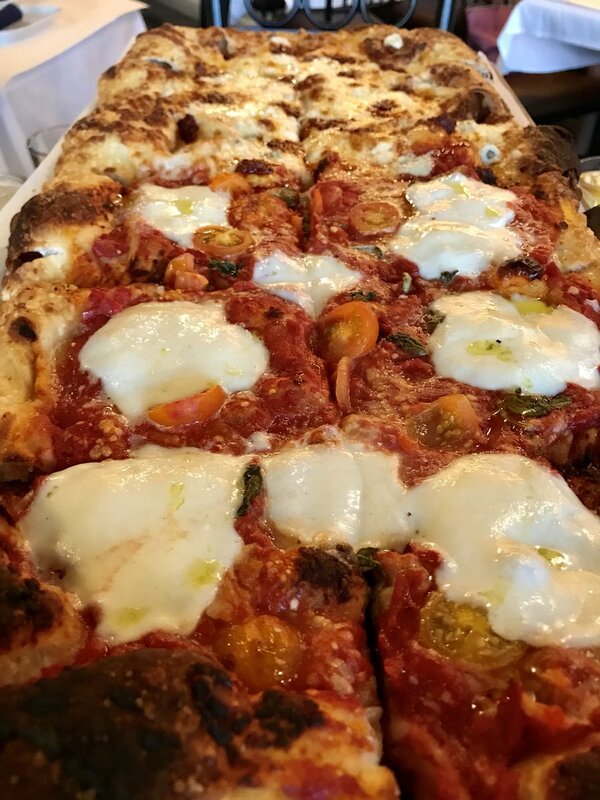 Checchino dal 1887 – Right around the corner from Flavio al Velavevodetto is this venerable establishment, that is just as comfortable and just as good. Specializing in the “fifth quarter” of the animal, the menu is a testament to how Romans were into offal long before it became fashionable. Wonderful wine list as well. Dal Bolognese – I never go to Rome without taking at least one meal here. Directly off the Piazza del Popolo, you enter this fashionable haunt of power lunchers and well-healed shoppers. The thing to get is the bollito misto with mostarda and salsa verde. There might be other good things to eat on the menu, but the meat platter with mustard fruits is so spectacular I can’t even think of ordering anything else. Except the fritto misto (fried seafood); it’s out-of-this-world too. Al Moro – There is an old saying about Roman restaurants that the worse the art is on the walls, the better the food. Al Moro’s walls won’t win any awards (see picture above), but the fegato (calves liver with agrodolce onions) ought to be enshrined somewhere. You won’t find better culatello ham or bufala mozzerella anywhere else around the Trevi Fountain, either. Go early for lunch to see how the smart business set enjoys its midday repast. Il Goccetto (pictured above) – Very popular with the young crowd. Doubles as a wine store. Nice antipasti display counter as you enter. Go early or late and go with a thirst. Cul de Sac – An old favorite off the Piazza Navona. Friendly welcome. Outdoor seating. Rome’s first proper wine bar (since 1977) is still one one the best, with food a lot better than you expect it to be. L’Angolo Divino – A cozy spot right off the Camp de’ Fiori, the modest entrance gives you not a clue as to the beauty of the food and the wine selection. An incredible list with a very helpful staff. Twenty years ago, back when dead tree journalism was still thriving, I attended a convocation of food writers in Napa Valley. For a few days, bigwigs from the New York Times, Saveur, and Bon Appetit rubbed shoulders with food writers from around the country. Among the cookbook scribes, Marcella Hazan was the biggest draw – commanding the main stage for her Italian cooking demonstration. Her husband Victor did the same as he lectured passionately and pedantically about the glories of Italian wine. After his talk (where he was introduced as America’s preeminent authority on the subject), I asked him if there were any books or guides to help me gain a better understanding of Italian wine (or any understanding of it for that matter). His responded that he didn’t think so. Apparently, to learn anything about Italian wine in America, in 1997, you had to know Victor Hazan. As my Italian wine IQ grew (helped along by multiple visits there), one thing always puzzled me: For a country so rich in wine, no one ever talks about Roman wines. While Roman food may be renowned, its wines are rarely mentioned in the same breath. Perhaps they have suffered from an excess of Est!! Est!! Est!! (“The dullest white wine with the strangest name in the world.” – Jancis Robinson) and the oceans of cheap Frascati that fuel the trattorias of the Eternal City. Between a reputation for cheap, uninteresting wine, and America’s taste for the killer “B’s” — Barolo, Barbaresco, and Brunello di Montalcino — the flavorful and affordable wines being made south of Rome have had an uphill climb to gain the audience they deserve. But climb that hill you should, and climb it I did (to the town of Cori pictured above), to taste some well-crafted, intense and fruit-forward juice that may finally put Roman wines on the map. Marco Carpineti (seen above with son Paolo), comes from generations of winemakers, and since 1994 has been making his own wines organically, and bio-dynamically, using no herbicides, chemical fertilizers or synthetic products. His winery is set into a mountain cliff on the road to Cori, just south of Rome, which itself sits almost 4oo meters above sea level. His vineyards are located on the hills and fields below the mountain, and from these sites he crafts a number of bewitching wines, many of which are made with grapes you’ve never heard of. Bellone (BAY-lon-AY) is one such grape. A native vine that hints at the herbaceousness of a good sauvignon blanc, with a nice, round mouthfeel and lemony finish that makes it perfect for seafood and oysters. 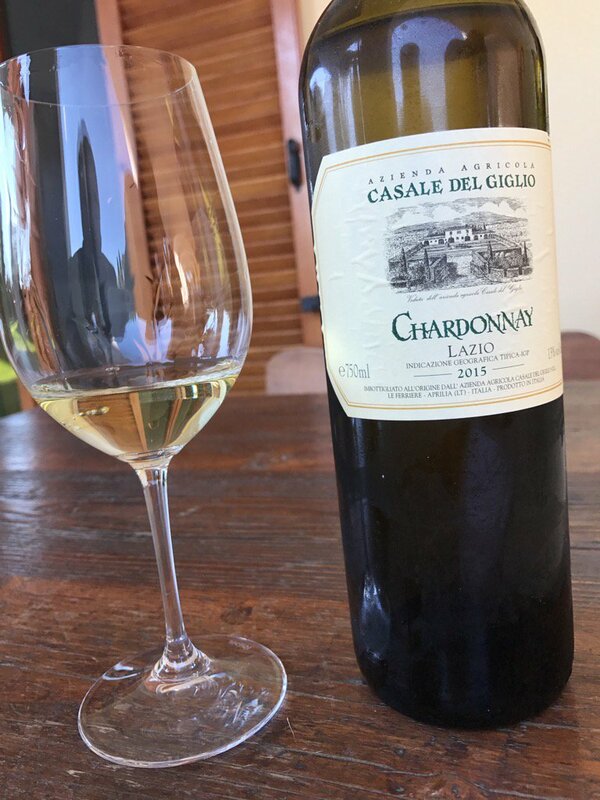 If Carpineti and other Lazio producers have their way, it is a white wine that might challenge the ubiquitous (and often boring) pinot grigio for Italian white wine supremacy. Whether it does that or not, it certainly makes a very firm and fresh sparkler — that Carpineti calls Kius — a bubbler that is every bit the equal of many a prosecco. A step up in depth takes you to their Kius Extra Brut — made exclusively with Nero Buono di Cori grapes — well-balanced with a hint of fragiolini (small strawberries) and brioche on the nose, and a long, medium dry finish. It starts slightly sweet and floral on the tongue and ends dry, and practically begs to be drunk with a variety of summer foods and mild cheeses. 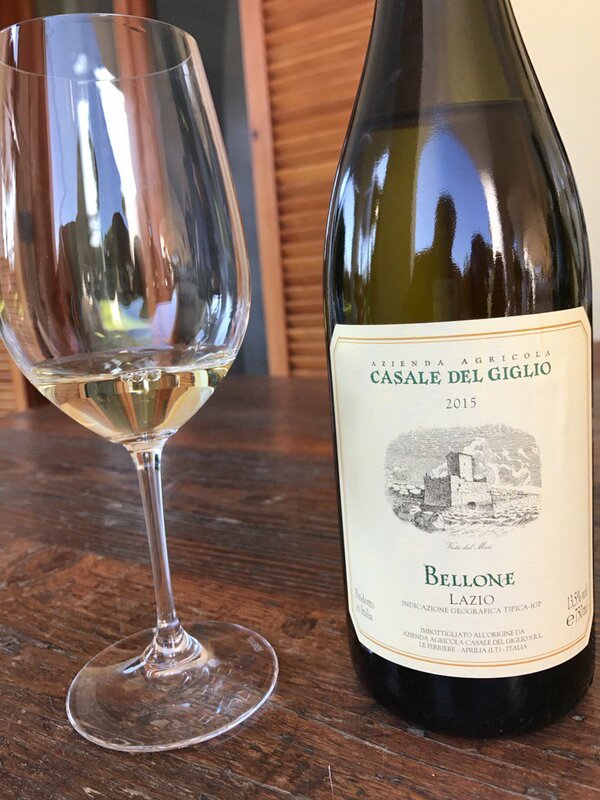 The Bellone grape makes another appearance in their Capolemone white — a wine that seeks to harness the soil and scents of this native grape. The light straw appearance is deceptive as the wine is uncommonly round and full in mouth. It finishes with hints of lemon, making it a perfect accompaniment to grilled fish or fresh oysters. Just as compelling was their Moro — a blend of white “Greco” grapes — that yield a softer, fruitier wine with hints of ripe fruit, perhaps due to 30% of the grapes being fermented in “refined oak barrels.” Were I tplanning a meal around these two wines, I’d offer the Moro as an aperitif with the antipasti, and serve the Capolemone with some cioppino. While the sparklers and white wines impressed us the most at Carpineti, their Tufaliccio red blend — of Montelpuciano and Cesanese grapes — won the award for the hardest to pronounce, easiest to drink wine of the day. This is a soft, mellow, easy to gulp red that would go beautifully with a variety of foods — sort of like a cru Beaujolais, only earthier and without the latter’s high-toned fruit. Paolo Carpineti couldn’t have been a more gracious host, and to cap off our day of tasting, he drove us to the top of the town of Cori, where the Temple of Hercules stands — built 300 years before the founding of Rome. 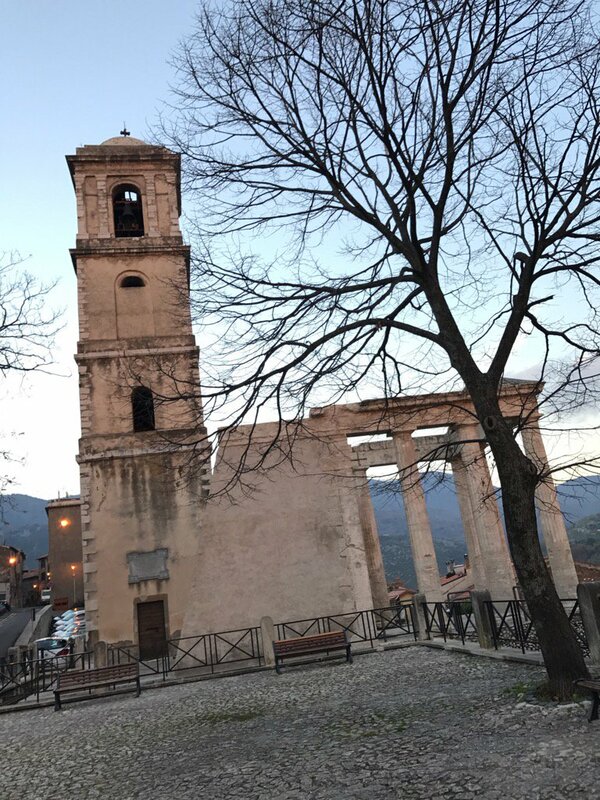 If you time your visit right, as Paolo did for us, you will wind your way to the top of this ancient town right at the end of the day, where one of the most fabulous sunsets in Italy awaits you. Italian wines, by their nature, are not wines for dissection and introspection. They are as indispensable part to the enjoyment of an Italian meal, as any pasta or protein. Italians view wine as a food, and as something to be enjoyed with food. This was the lesson of Cincinnato, a cooperative wine maker a little down the hill from Carpineti. The Bellone grapes for the above wine are cultivated in the lava hills around the Cori. Bellone has often been thought of as a “simple” or blending wine. It may not have the structure of more exalted grapes, but in Cincinnato’s Castore bottling, there is nice acidity to go with its silvery color and tart, faintly lemon peel-like finish. In all, quite a mouthful for less than $15 retail. From there, wine writer Charles Scicolone and I worked our way through the entire catalogue. (Wine tasting tip: If you’re going to tour Italian wineries, always be sure to bring your very own Italian wine expert with you.) Both of us liked the Castore, but we were more enamored of the Pozzodorico Bellone, perhaps because it is fermented and aged in wood for six months, giving it more body and complexity and length than its stainless steel cousin. We then sampled a fruit-forward blend of 50% Bellone, 30% Malvasia del Lazio, and 20% Greco — called Illirio Cori Bianco — and a Pantaleo, made with 100% Greco grapes. Giovanna Trisorio — our wine guide at the winery — described the Greco grape as an ancient, indigenous variety that produces a soft, yet full-bodied wine. I liked the Illirio’s minerality, but found it lighter, tighter and tarter in the mouth than the much fuller Panteleo. That both wines pack so much lip smacking complexity in bottles costing around $10 is something to behold. Of the reds we tasted, the Polluce (Poll-U-cha) was the clear cut winner. Made with 100% Nero Buono grapes, this was a fresh, smooth, easy-to-drink red. It was dark purple in the glass and a touch smoky — more redolent of black fruit than red — and just the sort of vino rosso you’d want with some beef cheek ravioli. 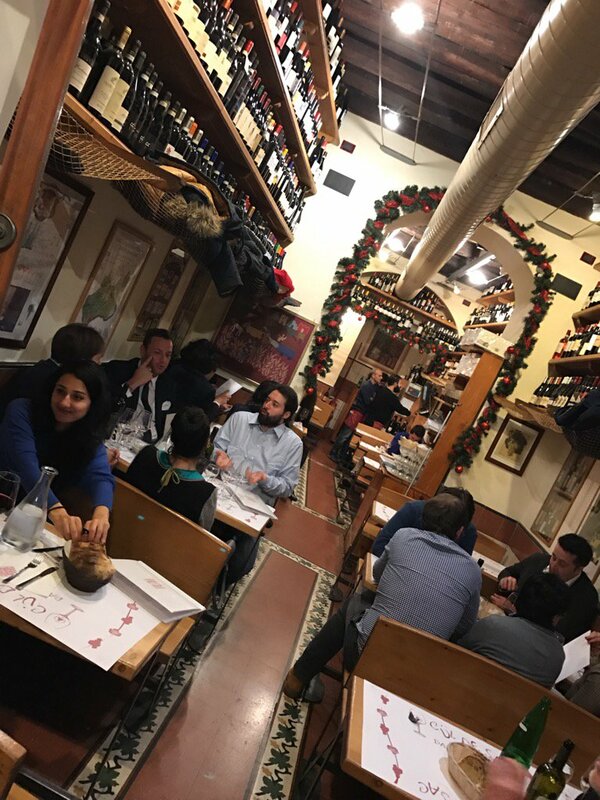 “All of these wines need food,” said Scicolone, and the winery obliged, filling us with a variety of local salumi, meats, cheeses and breads to accompany our serious sipping, all accompanied by their gorgeous, fresh, peppery olive oil. Cincinnato represents over 130 families, farmers and grape grower in the Cori region. It has brought its wines into the 21st Century with a sleek and stylish label that announces some very approachable wines at incredibly soft prices. Most of its catalogue sells in America in the $10-$20 range, and for that price you’re getting some serious wine making. The wines are named metaphorically (Castore and Polluce are characters in a famous Italian opera; Illirio means “hill”), but they make it easy for you by identifying the main grape variety right on the front of the label. These varieties deserve to be drunk more than they are on this side of the pond, and after a few sips of Bellone, you may never go back to pinot grigio again. This is Part One of a two-part article.